Cut all the veggies in square shape. 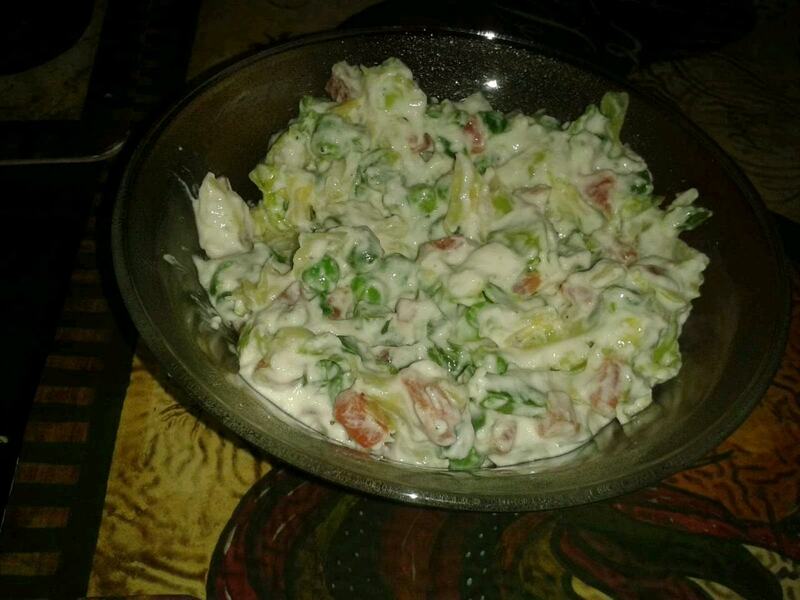 Take a bowl combine all the veggies,mayonnaise sauce,black pepper powder,salt,oregano ,herb and salt andmix well. Yummy healthy salad is ready to eat. Serve chilled.